Is your roof looking a little worse for wear? Don’t immediately assume you need a complete roof replacement. It’s likely that your roof just needs a good cleaning. If it’s time to clean your roof, avoid trying to do the job yourself. Falls are one of the leading cases of injury and death every year. Not to mention you could unknowingly damage your roof if you’re not careful. 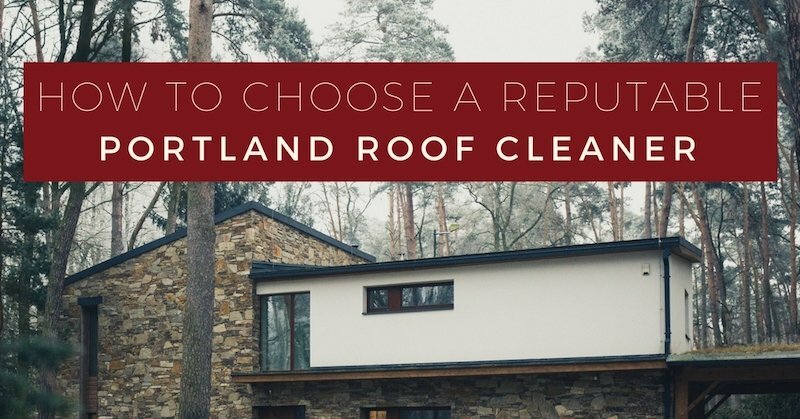 Instead, it’s better to partner with a trusted and professional Portland roof cleaner. There are 8 qualities every Portland roof maintenance company should have. As you’re considering your options, reference the list below to make sure you pick the best company for the job. Not only should a roof maintenance company have years of experience, they also need strong knowledge of the local community and the specific roof issues affecting homeowners in the area. Although large chains will likely have a lot of experience, steer clear of these franchises and instead look for privately-owned local businesses. These types of companies have a vested interest in their community reputation and always want to perform top-quality work. When you talk to a roof maintenance company, ask them how long they’ve been in business in the area and how many projects they’ve worked on to get an idea of their history. How Does Northwest Roof Maintenance Measure Up? Experience maintaining and cleaning roofs in Portland, Vancouver, Camas, Battle Ground, Ridgefield, and more! If a company cannot or will not guarantee their work, steer clear. Cleaning treatments or services should always be covered by a warranty. Choose a roof cleaner who stands behind their work and won’t be satisfied until you’re happy. Additionally, the company you work with must have liability insurance to cover their employees. Roof work is dangerous, and you don’t want to be held liable if any injuries occur while working on your home. Different types of roofs require different approaches to cleaning, so choosing the correct cleaning method for your roof is very important. Your roof maintenance company should have extensive knowledge and experience working on a wide variety of roof styles and materials. Ask the company about their experience level working on your specific type of roof. Additionally, if the company’s only method for cleaning your roof is using a pressure washer, beware. Gentle pressure washing may be necessary for some roofs (for example, those with heavy moss coverage), however it won’t take care of the root of the problem. When considering a roof maintenance company, ask to see a copy of their license. If the company cannot or will not show you this information, stay away! If you live in Oregon, your roof cleaner should have passed an Oregon Construction Contractors Board test to become a license roofer. You can check whether or not a company is licensed in Oregon by clicking here. If you’re over the border in Washington, the company will need to be registered as a contractor with the Washington State Department of Labor and Industries. You shouldn’t have to pay for a roof maintenance company to tell you how much they are going to charge you for a service. If a company tells you they charge to come look at your roof, we suggest looking elsewhere. Preliminary roof inspections are provided at no cost to you. There’s nothing worse than hiring a company to clean your roof and then coming home to a yard full of debris, leaves, branches, and moss. Yet this is how some roofing companies operate! Always ask the company whether or not they provide a full clean up after the job is complete. This means picking up all the materials cleared from your roof and taking it off your property. It’s important to know who will be at your house working on your property. You want a team who complies with OSHA safety procedures and has the knowledge to take great care of your roof. Take a look at the company’s website to find information about their team. What qualities and experience do they look for in the people they hire? Look for reviews that highlight the company’s customer service skills and ability to do the job perfectly. Ready to Hire a Reputable Roof Cleaner? 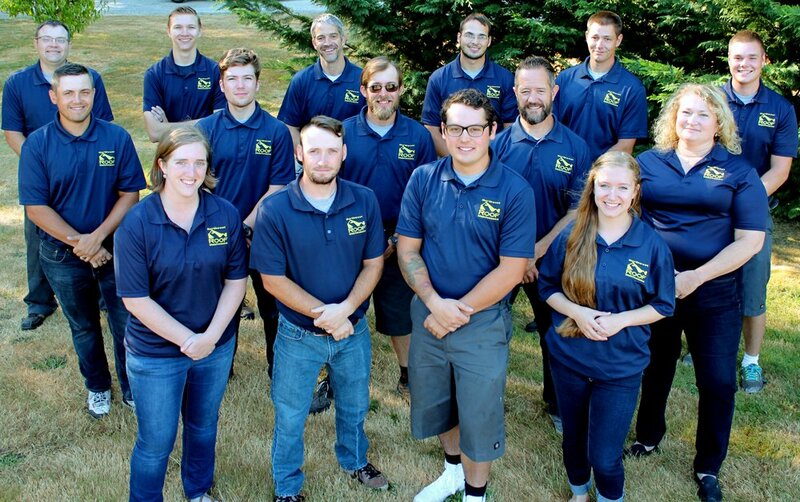 At Northwest Roof Maintenance, we love helping homeowners throughout Portland and Vancouver take care of their roof. Not only will regular roof cleanings give your home a fresh and polished look, it will also help protect your roof and add years to its life (saving you thousands of dollars). Give us a call today at (360) 910-8938 for your free roof inspection or to schedule your roof cleaning.